Have you started yet 'miss rushing ahead of the pack' @autumnalgirl ?? clothmama wrote: Have you started yet 'miss rushing ahead of the pack' @autumnalgirl ?? I haven't! Although I was panicking last night Id lost some before I realised that I haven't finished April yet! Nargles! Got to the end of round four before realising I'd made a mistake in round three! It ws looking pretty before I ripped it back though! I keep making silly mistakes and having to frog back, but getting there! Oh cute! 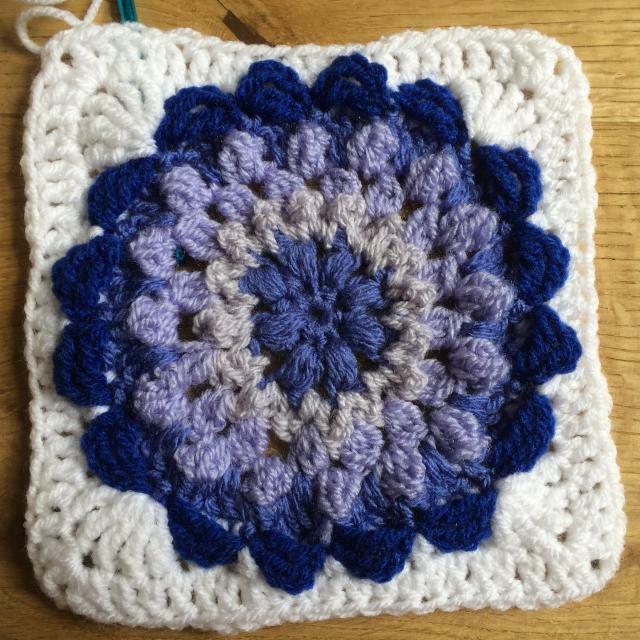 I need to start planning my colours, I think I'm going to do a yellow centre as I did that on one of the other flowers and I think it looked good with my colours. Haven't finished the other yet! I think @MissFrodo is hiding from us - come on Esther you have some catching up to do! I'm sorry didn't even bought new yarn yet, somehow I don't get the time. Hope to be on track again soon though. 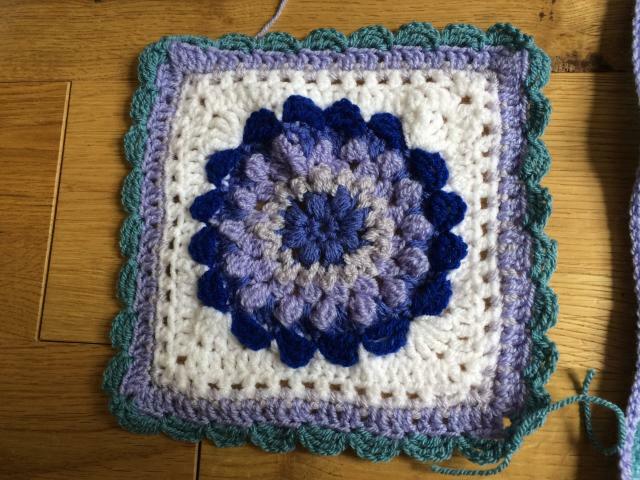 Done the first 2 rows in the centre, didn't love doing all those puffs in cotton, too hard to get it smooth looking, hope the rest hasn't got too many of them! It looks OK at the front but the back is a bit messy. As far as I'd got before I went away without the pattern!! !